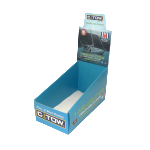 ADD Printing Packaging supplies a wide range of display boxes, including Clear Display Boxes, Cardboard Display Stands, Cardboard Counter Displays, Cardboard Floor Displays, Jewelry Display Boxes, Display Cases, Display Stands, Cardboard Ballot Boxes and lots more. 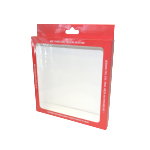 These display boxes come in various styles such as tuck end, tuck end with hand tab, gable, and display style and can have a window. 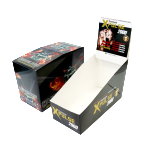 Display boxes are an entirely different type from other boxes, such as product boxes, cosmetic boxes, gift boxes, packaging boxes, and so on. 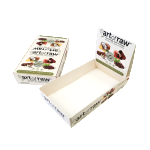 Rather than enclosing the entire product these boxes are made for the product to be visible and touched by customers. These boxes often look like a chair or stand for the product to sit in. 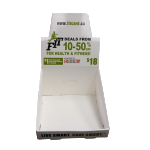 Display boxes are easily folded with a tall back to support soft and flexible products while still making them fully visible to customers. 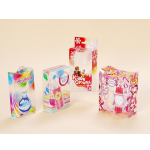 These boxes are great for products that have a unique texture, such as stuffed animals. 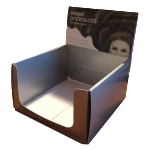 There are various printing options, please contact our professional sales representatives for a FREE QUOTE!